Soy sauce flavor. It often can take 4~8 weeks. Jjolbboki (spicy rice cake flavor). SPICY (original flavor). Choose from 4 flavors. 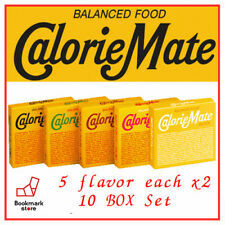 The picture shows 4 flavors. You are buying 1 flavor out of 4 flavors. But you can also buy multiples. 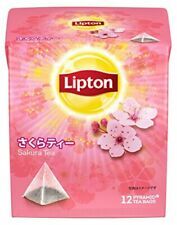 Lipton Cherry Blossom Sakura Tea pyramid type tea bag 12 bags. Use the natto maker,after 12-18 hours or longer duration, you can enjoy your natto. Product Type:Bacillus Natto. Put the bacillus natto into the beans, stir them. 1 Bacillus Natto. Weight(appprox.). Condition : 100% natural seaweed laver. Origin : Made in Korea ( South Korea ). Water, Artificial Chicken Flavor Powder, White Sugar, Soy Sauce, Red Pepper Powder, Soybean Oil, Onion Powder, Chilli Extract, Salt, Garlic Powder, Tapioca Starch, Yeast Extract Powder, Black Pepper Powder, Curry Power. Food Type - Seasoned laver. Ingredients : laver (korean) 98%. Korean Roasted Seaweed 280sheets. 4 Sheets X 70 Pcs (Total : 280 Sheets). Japanese snack 9 set candy umaibo etc. Norwegian "Mills Original Kaviar", (caviar). 185 grams tube with a Norwegian delicacy, a caviar produced since 1952. ⑧~⑫Umaibo ×5　(at least 2types). ②Chocolate DAIFUKU Marshmallow. ⑤Number chocolate. ⑭Hello kittyMarshmallow or chocolate. 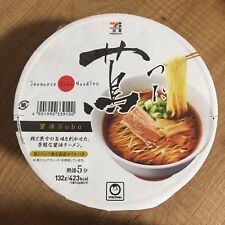 ⑬Don Taro noodle 12g. ※Contents may be changed! ⑳Big Katsu. ※We'll choose 5pieaces from 3types above. Katsuobushi Dried Bonito Flakes 2.5g 2 packs 2.5g X 2 Made in Japan Ingredients: Bonito . Size - 5.64oz(160g). Oceania (Australia, New Zealand etc.). Middle East (Saudi Arabia, India, etc.). Delicious and Spicy Taste Korean Food Snack. Instant Cup Spicy Korean Stir-fried Rice Cake "Teokbokki". Pour water to the line and stir. How to eat. Put the sauce in Instant Cup. Contents: 1 x Teokbokki Instant Cup 120g. 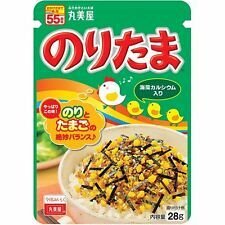 Japanese Snack Candy Foods 30 pieces set. Snack, Candy Contents of the Set [30 pieces]. Pachi-Pachi panic (Crackling Popping Candy) 5g x 1. Jelly Candy x 3 (Flavor is random). Ramune candy x 4 (Design, Flavor is random). Remarks Dagashi (^o^) yummy! Japanese Candy Snack set! Various kinds of Candy Snack Gummy and chocolate etc. Contents of the Set Total 40 pieces. by handling the situation on the your ground. This is the example. Contents may be changed. ①－⑤umaibo bar 5pcs ⑥－⑧Marshmallow(Chocolate strawberry pudding)⑨Tamanegi Onion Taro(Morokoshi wa taro.). Flavor: Uji Matcha (Green Tea). Maker:Morinaga, Japan. Fine noodles with whole wheat flour for your nutrition. Boil the noodles with 450ml of water during 1 min and 30 sec. Put the cooked noodles and hot water on the bowl and stir well before eating. Directions of Use. 100 % Made in Japan rice is used. Brown fibers are part of the rice. Condition : 100% natural seaweed laver. Model : Korea Laver. Tomodachinowa Wagashi Assoted. Remarks Wagashi Mix. (^o^) yummy! Contents of the Set 1 bag: 255g (11 kinds, About 14 to 15 pcs). by handling the situation on the your ground. Available for the item weighted less than 2kg. 3: Sapporo Potato BBQ by Calbee - Potato stick snack,9g. 5: Rice cracker. It depends on dispatching date. 4: Sapporo Potato Vegetable by Calbee - Potato stick snack, 9g. Salt taste. 10: Asupara Ginbisu - Stick cracker. Kombu is edible kelp which is a popular ingredient of multiple Japanese dishes. This is 100% pure dried kombu which is already cut to useful length, about 150 mm. This product is suited for different purposes; from "dashi" preparation to eat it as it is. Japanese Dagashi Box. Traditional Set. A little bit spicy. Peanuts in it. Crispy snack. By Ginbis. 4:Kotsubukko - Bite sized rice cracker. Seasoned with soy sauce and sugar. Size : 140g x 1EA. 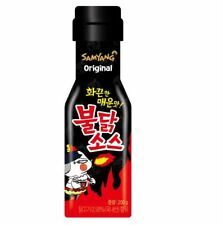 The taste may be hot, but it is suitable for people who like spicy flavors. Stir the noodles and ready to serve.